KDKA is a Class A radio station, owned and operated by Entercom and licensed to Pittsburgh, Pennsylvania. Its studios are located at the combined Entercom Pittsburgh facility in the Foster Plaza on Holiday Drive in Green Tree, and its transmitter site is at Allison Park. The station's programming is also carried over KDKA-FM's 93.7 HD2 digital subchannel. WLW, branded "Newsradio 700 WLW", is a commercial news/talk radio station serving Greater Cincinnati. 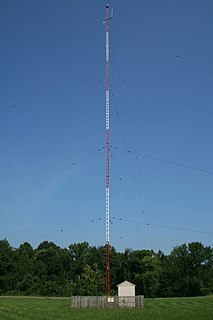 Owned by iHeartMedia, the station's studios are located in Sycamore Township, and its transmitter is at Mason, Ohio. One of the oldest radio stations in the United States, in the 1930s it was also the only U.S. station ever authorized to broadcast with a power of 500,000 watts. In addition, many clubs offer awards for communicating with a certain number of DX stations. For example, the ARRL offers the DX Century Club award, or DXCC. The basic certificate is awarded for working and confirming at least 100 entities on the ARRL DXCC List. For award purposes, other areas than just political countries can be classified as "DX countries". For example, the French territory of Reunion Island in the Indian Ocean is counted as a DX country, even though it is a region of France. The rules for determining what is a DX country can be quite complex and to avoid potential confusion, radio amateurs often use the term entity instead of country. In addition to entities, some awards are based on island groups in the world's oceans. On the VHF/UHF bands, many radio amateurs pursue awards based on Maidenhead grid locators. In order to give other amateurs a chance to confirm contacts at new or exotic locations, amateurs have mounted DXpeditions to countries or regions that have no permanent base of amateur radio operators. There are also frequent contests where radio amateurs operate their stations on certain dates for a fixed period of time to try to communicate with as many DX stations as possible. Another recent[ when? ] trend is for the hobbyist to employ multiple radios and antennas connected to a personal computer. Through advanced radio control software, the radios can be automatically ganged together, so that tuning one radio can tune all the others in the group. This DXing technique is sometimes referred to as diversity reception and facilitates easy "A to B" comparison of different antennas and receivers for a given signal. For more details on "PC Radios" or computer controlled shortwave receivers see the discussion in Shortwave listening. The R-S-T system is used by amateur radio operators, shortwave listeners, and other radio hobbyists to exchange information about the quality of a radio signal being received. The code is a three digit number, with one digit each for conveying an assessment of the signal's readability, strength, and tone. The code was developed in 1934 by Amateur radio operator Arthur W. Braaten, W2BSR, and was similar to that codified in the ITU Radio Regulations, Cairo, 1938. The DX Century Club, or DXCC, is an amateur radio operating award earned by making and confirming contacts with licensed amateur operators in at least 100 "countries" around the world, many of which are physically distant from the claimant. In radio communication, skywave or skip refers to the propagation of radio waves reflected or refracted back toward Earth from the ionosphere, an electrically charged layer of the upper atmosphere. Since it is not limited by the curvature of the Earth, skywave propagation can be used to communicate beyond the horizon, at intercontinental distances. It is mostly used in the shortwave frequency bands. A DX-pedition is an expedition to what is considered an exotic place by amateur radio operators, perhaps because of its remoteness, access restrictions or simply because there are very few radio amateurs active from that place. This could be an island, a country, or even a particular spot on a geographical grid. "DX" is a telegraphic shorthand for "distance" or "distant". The 2-meter amateur radio band is a portion of the VHF radio spectrum, comprising frequencies stretching from 144 MHz to 148 MHz in International Telecommunication Union region (ITU) Regions 2 and 3 and from 144 MHz to 146 MHz in ITU Region 1. 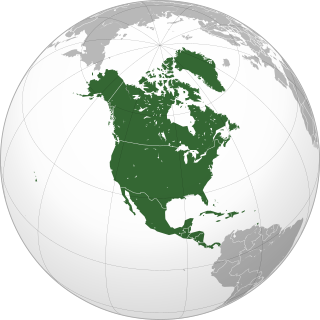 The license privileges of amateur radio operators include the use of frequencies within this band for telecommunication, usually conducted locally within a range of about 100 miles (160 km). HCJB, "The Voice of the Andes", was the first radio station with daily programming in Ecuador and the first Christian missionary radio station in the world. The station was founded in 1931 by Clarence W. Jones, Reuben Larson, and D. Stuart Clark. HCJB now focuses on Ecuador with unified programming on FM at 89.3 MHz in Pichincha, at 92.5 MHz in Manabí, at 96.1 MHz in Tungurahua and Cotopaxi, at 98.3 MHz in Esmeraldas and with separate programming on AM at 690 kHz. Broadcasts in Spanish and indigenous languages on 6050 kHz (1 kW), continue on an intermittent basis with a new solid state transmitter which in 2017 replaced an older (5 kW) transmitter. These broadcasts were not listed on the HCJB English website as of February 2016. Contesting is a competitive activity pursued by amateur radio operators. In a contest, an amateur radio station, which may be operated by an individual or a team, seeks to contact as many other amateur radio stations as possible in a given period of time and exchange information. Rules for each competition define the amateur radio bands, the mode of communication that may be used, and the kind of information that must be exchanged. The contacts made during the contest contribute to a score by which stations are ranked. Contest sponsors publish the results in magazines and on web sites. 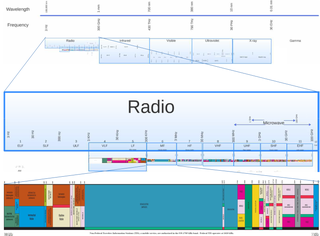 SINPO, an acronym for Signal, Interference, Noise, Propagation, and Overall, is a Signal Reporting Code used to describe the quality of radiotelegraph transmissions. SINPFEMO, an acronym for Signal, Interference, Noise, Propagation, frequency of Fading, dEpth, Modulation, and Overall is used to describe the quality of radiotelephony transmissions. SINPFEMO code consists of the SINPO code plus the addition of three letters to describe additional features of radiotelephony transmissions. These codes are defined by Recommendation ITU-R Sm.1135, SINPO and SINPFEMO codes. MW DX, short for mediumwave DXing, is the hobby of receiving distant mediumwave radio stations. MW DX is similar to TV and FM DX in that broadcast band (BCB) stations are the reception targets. However, the nature of the lower frequencies used by mediumwave radio stations is very much different from that of the VHF and UHF bands used by FM and TV broadcast stations, and therefore involves different receiving equipment, signal propagation, and reception techniques. A QSL card is a written confirmation of either a two-way radiocommunication between two amateur radio stations or a one-way reception of a signal from an AM radio, FM radio, television or shortwave broadcasting station. It can also confirm the reception of a two-way radiocommunication by a third party listener. A typical QSL card is the same size and made from the same material as a typical postcard, and most are sent through the mail as such. The E layer of the ionosphere is not the only layer that can reflect VHF television signals. Less frequently, the higher F2 layer can also propagate VHF signals several thousand miles beyond their intended area of reception. Tropospheric propagation describes electromagnetic propagation in relation to the troposphere. The service area from a VHF or UHF radio transmitter extends to just beyond the optical horizon, at which point signals start to rapidly reduce in strength. Viewers living in such a "deep fringe" reception area will notice that during certain conditions, weak signals normally masked by noise increase in signal strength to allow quality reception. Such conditions are related to the current state of the troposphere. A shortwave radio receiver is a radio receiver that can receive one or more shortwave bands, between 1.6 and 30 MHz. A shortwave radio receiver often receives other broadcast bands, such as FM radio, Longwave and Mediumwave. Shortwave radio receivers are often used by dedicated hobbyists called shortwave listeners. ↑ Mika Mäkeläinen. "Introduction To DXing". DXing.info. Retrieved November 12, 2016. ↑ Jerome S. Berg (30 October 2008). Listening on the Short Waves, 1945 to Today. McFarland. pp. 330–. ISBN 978-0-7864-3996-6 . Retrieved November 12, 2016. ↑ Susan J. Douglas (25 February 2004). Listening in: radio and the American imagination. U of Minnesota Press. pp. 73–. ISBN 978-0-8166-4423-0 . Retrieved November 12, 2016. ↑ Hattam, Mark. "Trans-Atlantic FM". dxradio.co.uk. DX Radio. Retrieved 1 May 2018. ↑ Radio-electronics. Gernsback Publications. 1959. 1 2 Danny Gregory; Paul Sahre (1 April 2003). Hello world: a life in ham radio. Princeton Architectural Press. pp. 217–. ISBN 978-1-56898-281-6 . Retrieved 4 April 2012. ↑ H. Ward Silver (2008). The ARRL Extra Class License Manual for Ham Radio. American Radio Relay League. pp. 2–. ISBN 978-0-87259-135-6. ↑ 73 Amateur Radio. WGE Pub. 1988. 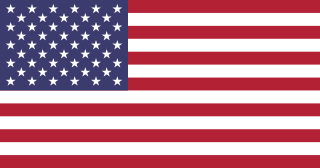 ARRL - American Radio Relay league.